SUMIF formula works as a conditional sum. 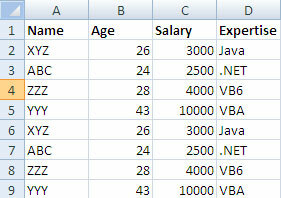 All values in the range that meet the condition or criteria are included in the sum. SUMIF is very useful for single criterion sum formulas. Range – This is the area containing the values that determine whether to include a particular cell in the sum. Criteria – This is an expression that determines whether to include a particular cell in the sum. Sum_range – This is the area containing the cells to sum. SUMIFS formula works as a conditional sum. 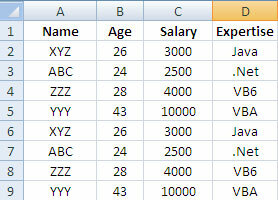 All values in the range that meet the condition or criteria are included in the sum. SUMIFS is very useful for multiple criteria sum formulas. SUMIF is available in Excel 2007 as well as in earlier versions of Excel while SUMIFS is available only in Excel 2007 and later versions. Using SUMIF, we can add a single continuous range based on one specified range with one criterion only. Using SUMIFS, we can use multiple continuous ranges of the same size with multiple specified ranges equal to the number of criteria applied. Sum_range – This is the one or more cells to sum - including numbers, names, ranges, or cell references - that contain numbers. Criteria_range1 – This is the first range where we will evaluate the criteria associated with it. Criteria1 – This is the first criteria. It defines which cells in the criteria_range argument would be added, and can be in the form of expression, number, cell reference or text. Criteria_range2, Criteria2,… - This is optional. These are additional ranges and their respective criteria. 127 (criteria_range#, criteria#) pairs are allowed.